Muffins are not only easy to make, but they also taste great. I'm always looking for vegan muffin recipes, and I recently made Cinnamon Swirl Muffins from Susan's wonderful Fatfree Vegan Kitchen blog. If you want your muffins to be on the bland side, then this recipe is really good. 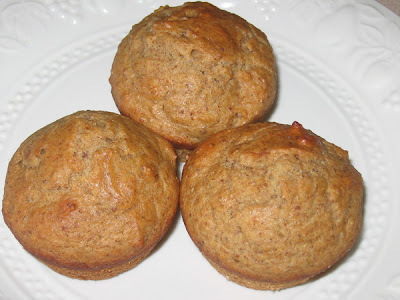 I like my muffins to be sweeter, so I think I will add more sugar to this muffin recipe, when I make it next time. looks delicious..will go for the recipe now..
Muffins are the best for breakfast. I absolutely love this blog. So, so much! delicious muffins! Thanks for your sweet comments on my blog. vegan muffin looks perfect kumudha. Vegan muffin looks delicious......Thanks for sharing.. Thanks for your feedback. I appreciate it. It's interesting to read about 'Veganism' and your recipes are very nice too. Hummm Muffin looks mouthwatering, nice recipe!!! I LOVE your vegan muffins, honestly is the best veggie struff I've ever taste since the nutella cream, well done honey! I tasted something like this, but the one that I tasted was prepare with honey and nuts. Surely, the guy is totally just. option? There are so many choices out there that I'm completely overwhelmed .. Any tips? Thank you! finding this topic to be actually something that I feel I would never understand. I am having a look forward to your next put up, I'll attempt to get the cling of it! get information concerning my presentation focus, which i am going to present in college. It's not my first time to visit this website, i am browsing this web site dailly and obtain fastidious information from here every day. I'm really enjoying the theme/design of your site. Do you ever run into any internet browser compatibility issues? A handful of my blog readers have complained about my blog not working correctly in Explorer but looks great in Chrome. Do you have any advice to help fix this issue? as well definitive weight reduction. In addition, they are also helpful to those people who are already pregnant by helping them to deal with morning sickness easily. These medications help promote ovulation by regulating the menstrual cycle to have an exact date when you are most fertile.